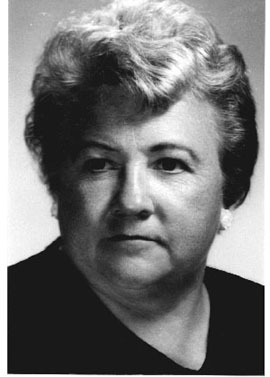 Phyllis Jean Verhonick, an early leader in advocating clinical nursing research, was recognized internationally for her research in the care of decubitus ulcers and the skin. Following a career in the United States Army Nurse Corps where she was chief of the Department of Nursing at the Walter Reed Army Institute of Research, she became the first director of nursing research at the University of Virginia School of Nursing. "[Phyllis] is a part of the history of modern nursing research and a greater brand of humor and fun could not have been found. She has left a considerable legacy that the history of nursing and particularly nursing research will not forget." Biographical Text: Phyllis Jean Verhonick was educated as a nurse in Oregon and developed her knowledge of research at Teachers College, Columbia University in New York under the direction of Dr. Elizabeth Hagen. She further refined her research skills by working with Dr. Helen Bunge in the Institute for Research and Service in Nursing Education at Teachers College while pursuing her masters and doctoral degrees. Verhonick was an early leader in advocating clinical nursing research and a strong proponent of research education at the baccalaureate level. She has been recognized nationally and internationally for her research in care of decubitus ulcers and the skin. Her great wish was for young students to develop an awareness of what research could mean for nurses. At the University of Virginia she taught a course on introductory research with great effectiveness. Many of her students have become productive nursing researchers. Verhonick was active in many nursing organizations. 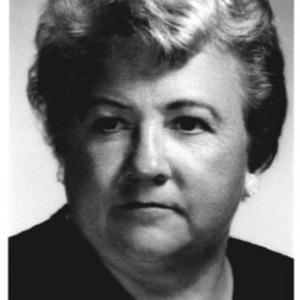 She served on the Standing Committee on Research and Studies for the American Nurses Association and was the first chair of the Virginia Nurses Association Research Professional Practice Group. She served on committees with the American Nurses Foundation and the Walter Reed Army Institute of Nursing. She was a charter member of the American Academy of Nursing and later served as vice president of the Academy. Her honors are many and include the Legion of Merit presented by the U.S. Army for exceptionally meritorious service. Following her death, the U.S. Army Nurse Corps established the Phyllis J. Verhonick Award presented to an army nurse who demonstrates excellence in research that significantly contributes to nursing and improves patient care outcomes. The University of Virginia established the Phyllis J. Verhonick Annual Nursing Research Conference where an outstanding student receives the Verhonick Research Award. “Phyllis Jean Verhonick,” VCU Libraries Gallery, accessed April 22, 2019, https://gallery.library.vcu.edu/items/show/77980.